THE WORLD’S MOST ADVANCED OPTICAL SENSOR Equipped with the new esports-grade 16,000 DPI optical sensor and true tracking at 450 Inches Per Second (IPS), the Razer DeathAdder Elite ergonomic mouse gives you the absolute advantage. Engineered to redefine the standards of accuracy and speed, this incredible mouse sensor crushes the competition with a Resolution Accuracy of 99.4%, so you land killing blows with pinpoint precision. 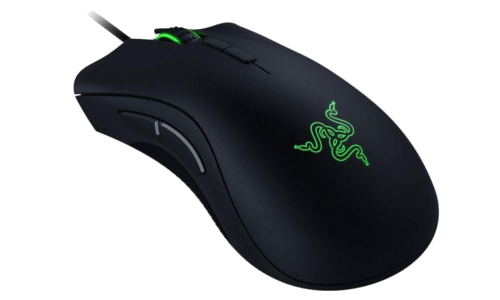 GAMING-OPTIMIZED RAZER MECHANICAL MOUSE SWITCHES Engineered to give you the unfair advantage in intense gameplay, the Razer DeathAdder Elite comes with all-new Razer™ Mechanical Mouse Switches. Co-designed and produced with the leading global mouse switch supplier, Omron, the new switches are optimized and tweaked for the fastest response times for gaming and for extended durability up to 50 million clicks. 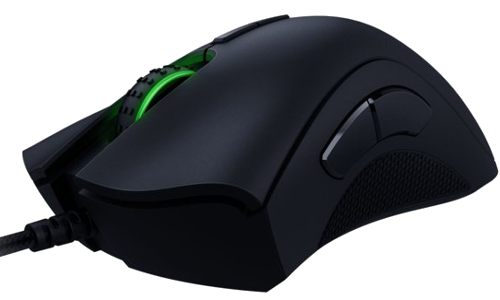 ERGONOMIC MOUSE SHAPE PERFECTED FOR ESPORTS ATHLETES The Razer DeathAdder Elite features an iconic ergonomic mouse structure that top esports athletes swear by and stays incredibly comfortable even during long high-octane battles. Together with two rubber side grips, you’ll always have complete control of your gameplay.